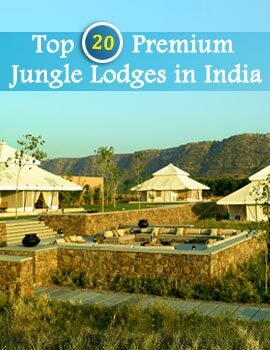 The Indian subcontinent boasts of an extremely rich and varied wildlife and is thus home to numerous wildlife sanctuaries and national parks which rank among the prime tourist attractions of the country. Within India, some of the finest and best known wildlife sanctuaries are located in the Western part of the country, comprising of states like Goa, Gujarat and Maharashtra. 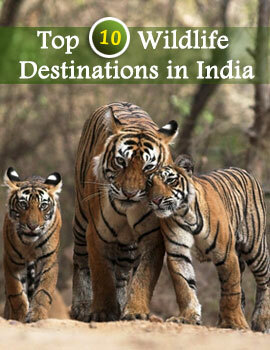 The Wildlife Destinations in Western India are among the most visited wildlife reserves in the entire country. The moderate climate in the western parts of India supports the growth of uniquely varied flora and fauna. More than 40 mammal species and over 450 species of birds have been recorded in the various Wildlife Destinations in Western India. The most important and popular Wildlife Destinations in Western India are the Gir National Park in Sasangir (Gujarat), Velavadar National Park (Gujarat), Marine National Park and Sanctuary (Gujarat), Krishnagiri Upavan National Park (Maharashtra), Tadoba National Park (Maharashtra), Nal Sarovar Bird Sanctuary (Gujarat) and the Bondla Wildlife Sanctuary in Goa. The Gir National Park in Gujarat is the only habitat of the world-famous Asiatic lions - housing a total number of about 300 of these animals. The Marine Wildlife Sanctuary in Gujarat is famed as the first Marine National Park in entire India.